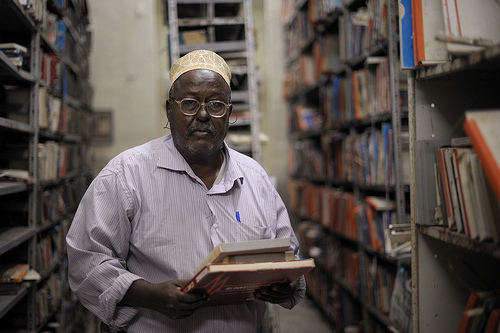 The archives of Radio Mogadishu survived 20 years of civil war and will be digitized! The dark room contains thousands of reels with folk songs, political speeches, drama, poetry and religious programs that were saved from various clan militias who took control of areas of the city after the ousting of then Somali president Siad Barre in 1991. Read the full story at Focus on Somalia! Some photos on Flickr about the archive. A short film about the project.